The senior senator from the state of Massachusetts unleashed a firestorm on social media earlier on July 17 and eviscerated the presumptive GOP nominee, mainly for his actions around some of his various alleged business ventures. Elizabeth Warren's tweets about Donald Trump were her most brutal yet, and it was glorious. Check out what the firebrand stalwart supporter of middle-class American families had to say about Trump University and "Crooked Trump," among other things. All it took was yet another wayward tweet from Trump trashing Warren's claim to partial Native American ancestry for the Massachusetts senator to lay into the businessman and former reality TV show star about how she, and others, have alleged that Trump has acted in a fraudulent manner. The first message in her opening barrage of tweets was when she brought up a New York attorney general's report that seemed to indicate that Trump, through Trump University, "pocket[ed] millions" through fraudulent actions. She then went on to highlight a report about how a Manhattan judge reportedly ordered the records of a $250 million tax fraud case involving Trump's real estate ventures. Oh, and another story where he allegedly threatened victims of his unaccredited universities exploitation who are suing for damages. You know, because that's apparently just how he rolls. 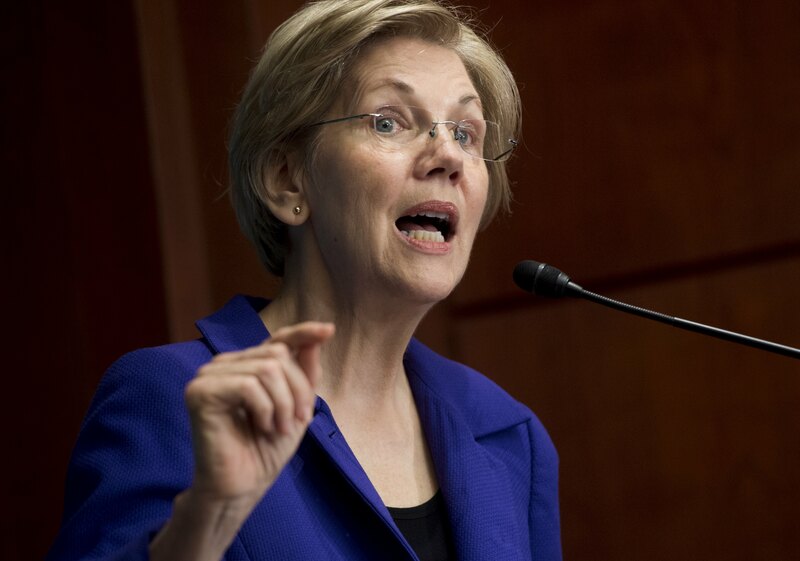 Warren has done her very best to go on the offensive against Trump, often acting as a stand-in for Hillary Clinton when more pointed attacks could appear to be uncouth or undignified. However, this election cycle has been a testament to the resurgent appeal of the down-and-dirty electioneering during the contested Progressive Era a century ago, which, more than anything else, has been standard in the past few election cycles. At the end of the day, however, Warren has little to lose from going all-in on Trump, and his vice presidential pick, Mike Pence. Her progressive base may be sore at her for saying that, at the end of the day, she's going to be siding with "Her," but any attrition that can be scored against Trump is essential to making sure a Democrat, or, frankly, anyone but Trump, will be moving into 1600 Pennsylvania Avenue come January.